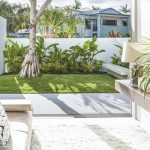 This Noosa Sound home was transformed by Gail Hinkley Design to be a stylish and comfortable weekend retreat for a family. 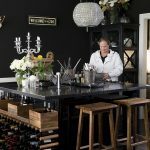 Fortunately, the owners of this unit were agreeable to the ‘back to the bones’ renovation that interior designer Gail Hinkley, from Gail Hinkley Design, put forward, which included removing the dated stucco walls and ceramic tiled floors. The unit was then refinished with new square set solid plaster to the walls and ceilings and faux timber flooring. 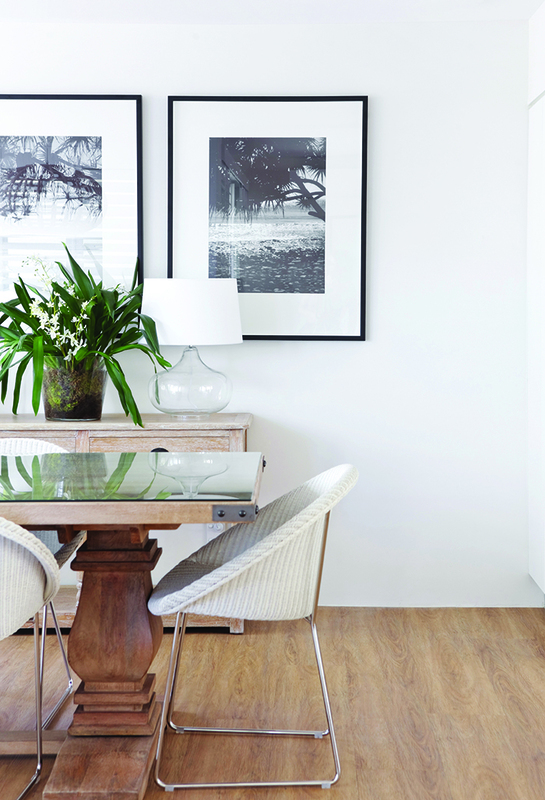 Related article: Gail Hinkley adds a warm and welcoming style to this Bulimba home. Due to the size of the apartment, the kitchen and bathroom cabinets, as well as the walls and ceiling, are all finished in white and the existing anodized aluminum window and door frames have been softened with the addition of white plantation shutters. As a chic offset to the lightness of white, navy blue was chosen as the accent colour throughout. 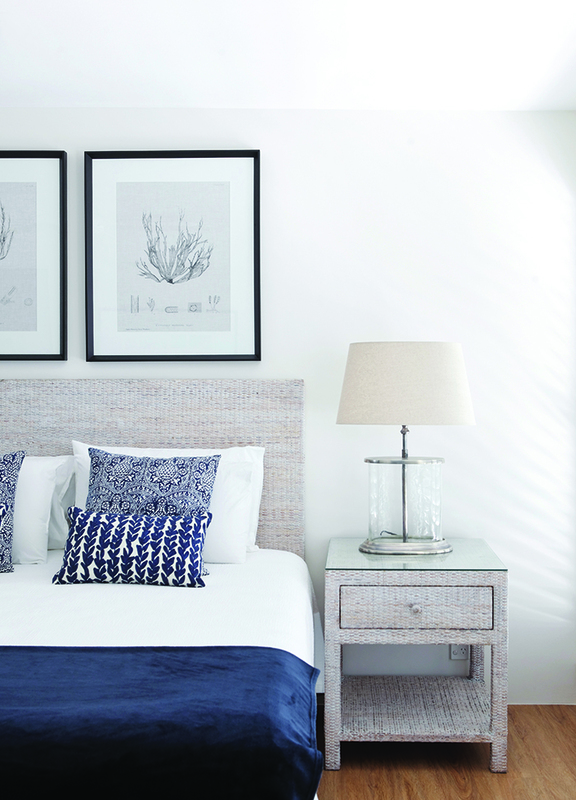 Continuing this colour theme, the bedrooms feature whitewashed rattan furniture, white bedcovers with navy cushions and bed end blankets, while the existing rattan lounge suite was retained and reupholstered with navy and neutral fabric. Gail’s retail outlet, Signature on Hastings showcases her particular style – drop in for some retail therapy or to plan your new interior.